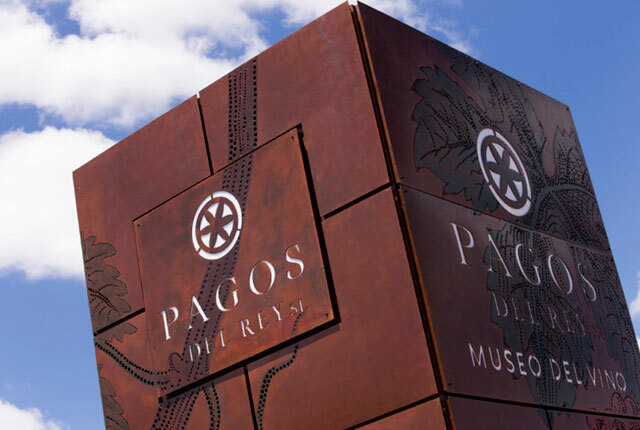 Pagos del Rey offers you a pleasant and complete experience that introduces you to the ancestral relationship between this land and the excellent and renowned wines produced by its vineyards. 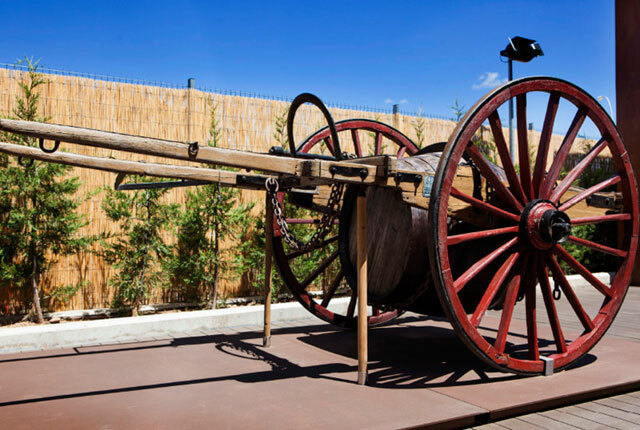 The museum is housed in one of the production units of the old cooperative, a spacious and spectacular facility that still displays the large tanks from former times and transports us to a magic world packed with surprises. The building was erected in 1964 with a unique roofing system that has become one of its hallmarks. The ground floor still contains the 28 original wine-making tanks as part of the exhibition. The museum covers a total indoor area of 1,000 m2 that houses original elements, reproductions, audiovisual material and interactive touch screens. The outdoor part, with over 2,000 m2, displays the largest pieces in an imaginative exhibition area.